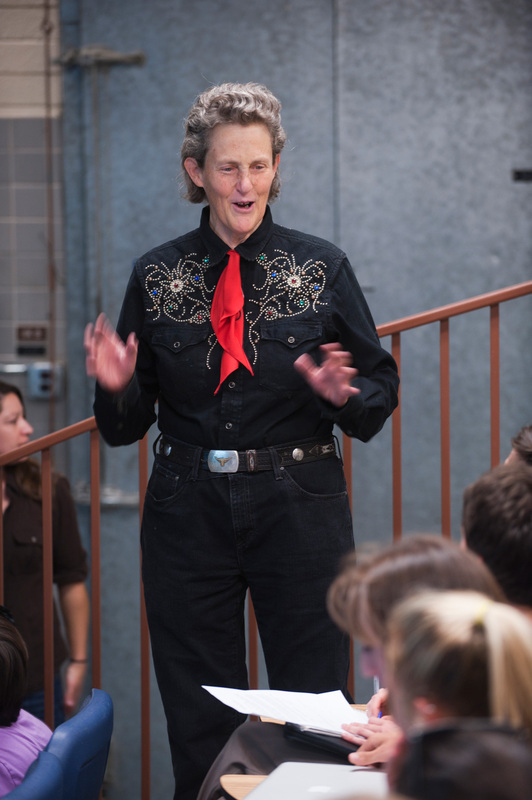 Dr. Temple Grandin is anything but average. She’s an accomplished animal scientist, an author, an international speaker and the subject of an HBO documentary. And according to the New York Times, she may also be the world’s most famous person with autism. She was also recently named to the National Women’s Hall of Fame! Grandin was diagnosed with autism as a toddler and was nonverbal until she was three-and-a-half years old. But as she grew older, her disability became a gift that enabled her to develop visual-thinking abilities in the highly sensory world of autism. Grandin says this made her predisposed to intuitively understand an unlikely group: animals. Animals, Grandin explains, don’t think in words. “It’s pictures, sounds, smells. It’s a sensory-based world, not a word-based world.” Grandin made the connection on her aunt’s Arizona farm, where she lived and worked as a teenager. Noticing how easily livestock could be spooked by shadows and visual details most people do not notice, she began to understand her life’s work. “A lot of people hadn’t thought to look at those things,” Grandin says. 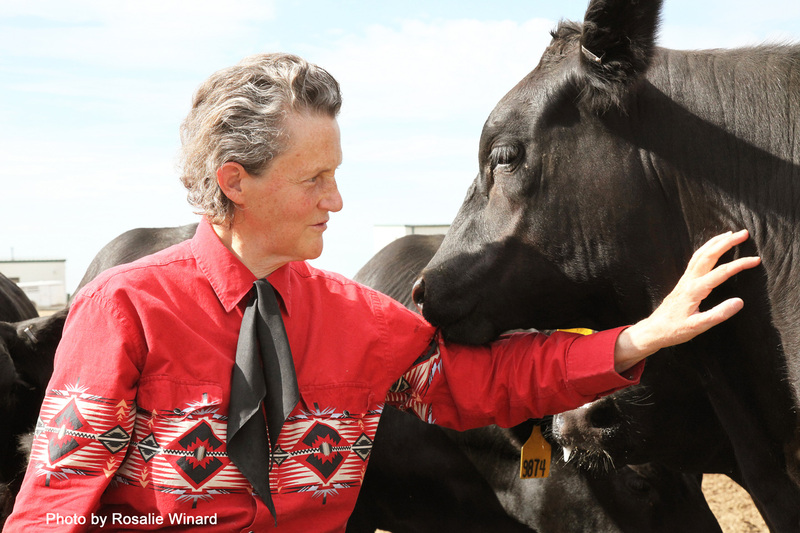 Now a professor of animal science at Colorado State University, Grandin uses her expertise on the humane treatment of animals to improve the livestock industry around the world. She designed a center track restrainer and curved chute system that is used to process half the cattle in North America. She also partnered with the U.S. Department of Agriculture (USDA) in 1996 to develop an industry-changing objective scoring system to improve how animals were treated at processing facilities. And now, Grandin’s expertise is making an impact in another arena: fast food. As an adviser to the Chick-fil-A® Animal Wellbeing team, Grandin – along with other outside experts on the Animal Wellbeing Council – provide input that influenced the Chick-fil-A Animal Wellbeing Standards, as well as insight into industry best practices. Dr. Steven Lyon, a former USDA scientist, serves on the Animal Wellbeing team as part of his role at Chick-fil-A. He says that caring for the animal is not only “the right thing to do,” but an anxious or unhealthy bird can also impact both the safety and quality of its meat. “It’s just not good business practice for a farmer to be raising birds that aren’t healthy,” he says. Lyon says customers care that Chick-fil-A, as a large chicken chain, strives to be transparent and responsible in its sourcing. To that end, he recently followed along as Grandin performed an animal wellbeing assessment on one of Chick-fil-A’s largest suppliers. Grandin’s feedback? She said she was very pleased with the operation, noting that the plant was managing critical measurements very well, and that the measurements for which Chick-fil-A audits were all in alignment with those of her program and considered the correct factors. She also noted that the bird size Chick-fil-A sources held many animal wellbeing advantages over larger birds. You can read more about Chick-fil-A’s Animal Wellbeing Standards here.